Wedding Pangs with newlyweds Dennis and May Pang at Trinity Baptist Church and Kirin Restaurant City Square on September 24, 2011. Photos by Jeremy Lim Photography. 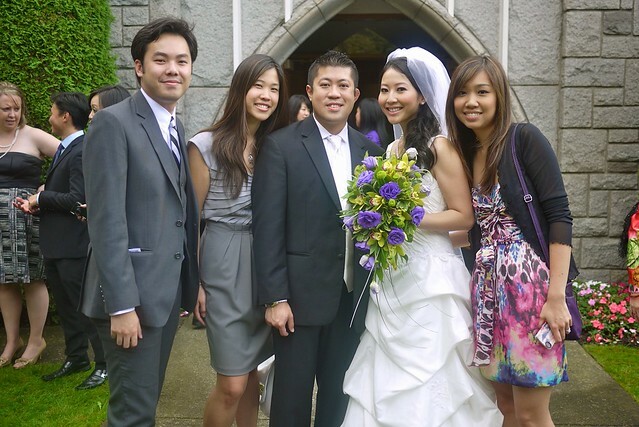 Left to right: Me, Colene, newlyweds Dennis and May Pang, and Vanessa Chu. Walk down the aisle as a married couple. 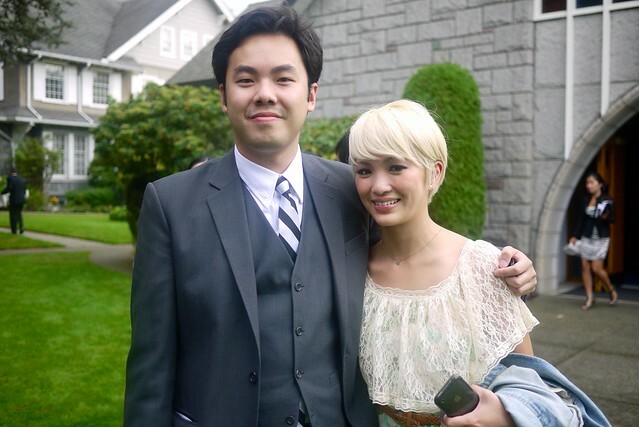 Hanging outside the church with Maurice Li and crew. 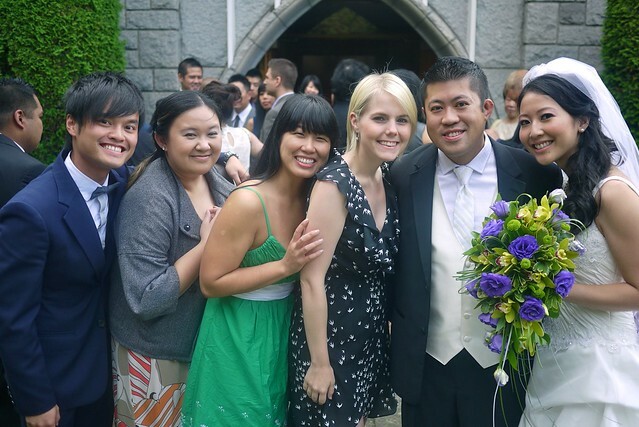 Lloyd Go, Dee De Los Santos-Cheung, Beki Liang, Amy Elderkin, Dennis and May. Ladies and gentlemen, for the first time ever, The Pangs. Nicolb toasting table #9 (aka the Twitter table). Again, congratulations to the happy couple. I wish them all the happiness in the world and a lifetime together. The groom fist pumping with Lloyd and Kathy Ko. Watch me dancing like a fool (for some reason) below. I had a ridiculously good time yesterday. Cheers to all my wonderful friends for an amazing day. I love you all.